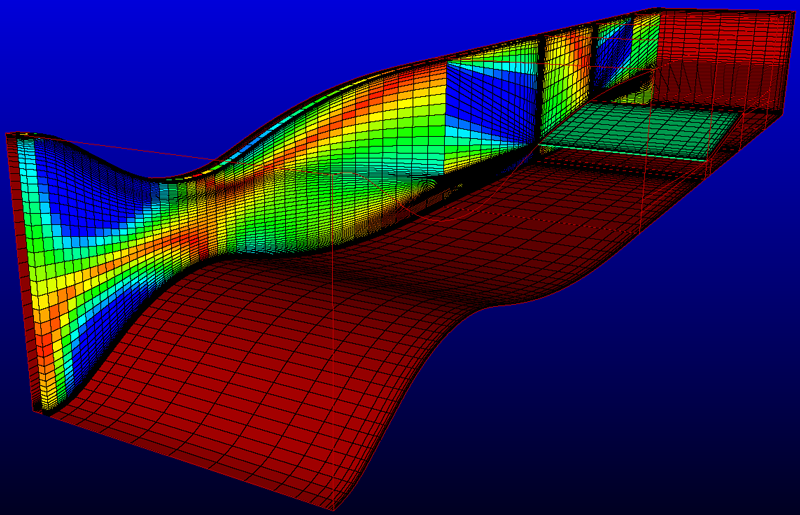 CFD Technologies, operated by John Stone, has been Pointwise's distributor in the United Kingdom for 13 years. Stone, a veteran in computational fluid dynamics (CFD), began his career at Fluent Europe, where he was one of the original developers of RAMPANT, the first commercial CFD code to fully exploit unstructured technology and the predecessor to FLUENT v5. After seven years at Fluent, Stone went to Computational Dynamics as a senior manager. He founded CFD Technologies in 2000. The company is located in Sheffield which is centrally based for its clients, from Scotland and Wales, to the south coast of England. CFD Technologies provides advanced product training and technical support for Pointwise and is the European distributor of the CoolSim datacenter flow modeling software. Figure 1: T-Rex mesh around a two-seater aircraft courtesy of Swift Technology Group. The company's expertise covers many industries, ranging from, aerospace, turbomachinery and marine (where structured hex meshing is the norm), to the rail and power generation sectors. Pointwise is well suited to aerospace and turbomachinery applications which require a high degree of accuracy from CFD analysis. Users in these areas appreciate having complete control of their grid quality, which Pointwise delivers. More recently, new clients have come from the oil/gas and renewable energy markets, which are showing strong growth in the United Kingdom. Pointwise is used to build hex meshes for multiphase oil/gas flows and to build hybrid grids for wind and offshore turbines. Figure 2: This multi-block structured grid was generated using Pointwise for the AIAA Shock Wave Boundary Layer Interaction Workshop. Wind tunnel walls are shown in red, the shock wave generator in green, and a slice through the grid is displayed with color contours of minimum included angle. Providing rapid, all inclusive, technical support is CFD Technologies' number one priority, a service their clients have appreciated and grown accustomed to. As a result many clients have had a continuous relationship with CFD Technologies since the company was created. 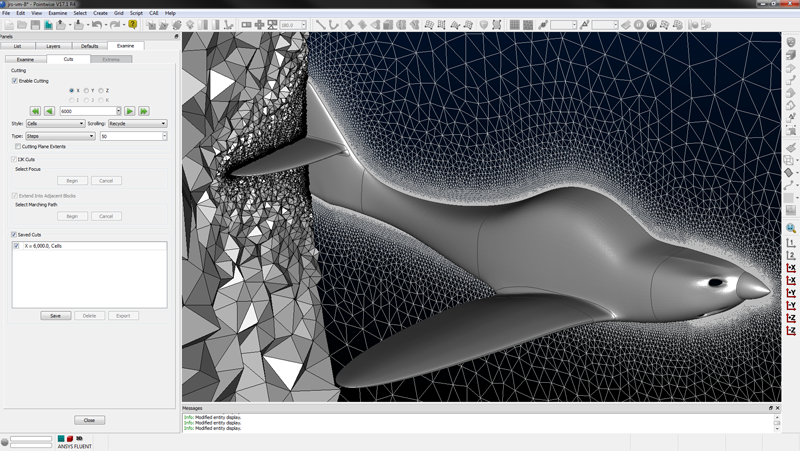 The needs of United Kingdom users are quickly and efficiently addressed because of the close working partnership between CFD Technologies and Pointwise. The success is due to excellent communication between the two companies. For more information about CFD Technologies, see www.cfd-technologies.co.uk.